(CueSports International, Henderson, NV – Aug. 26, 2016) — With cool determination, Justin Bergman iced his opponents to win the 9-Ball Division of the US Bar Table Championship (USBTC) Friday at the Westgate Hotel & Casino in Las Vegas, beating Shane McMinn in the finals by a score of 9-7. 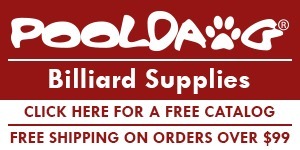 It was a perfect follow up to his victory Wednesday when he won the 10-Ball. 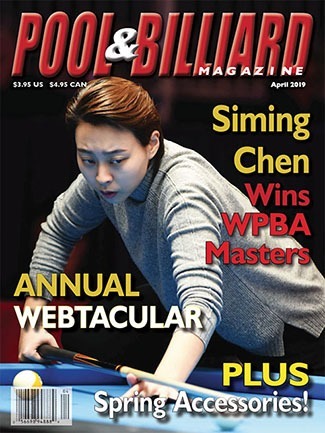 Bergman, aka, “Iceberg” pocketed $4,100 for the win and locked up the $1,500 All-Around Bonus, making it a $9,400 week for the 29-year-old from Fairview Heights, Ill.
Bergman faced a touch field in the 9-Ball Division, posting wins over Billy Thorpe, 9-6; Donny Branson, 9-6; Chris Stanfield, 9-8; Max Eberle 9-3; Ryan DeBerg, 9-2; and Edwin Garcia, 9-1, before sending Shane McMinn to the loser’s bracket after a 9-7 win to take the hot seat. McMinn, a former Oklahoma State champion, beat Roberto Gomez Jr., 9-6; Josh Roberts, 9-5; Julio Burgos Torres, 9-5; and Mike DeWitt, 9-6, before losing to Bergman, 7-9. Then McMinn beat Jason Klatt to meet Bergman in the finals. 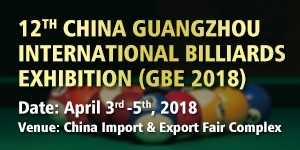 The finals of the 9-Ball Division, which had an alternating break format, started with each of the players breaking and running a rack. In the third rack, McMinn, who had won the lag, jawed the seven ball, giving Bergman the rack and an advantage that McMinn was unable to overcome. 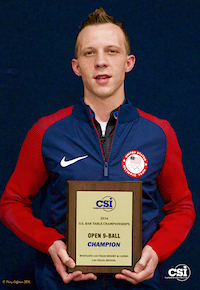 Bergman is also still undefeated in the 8-Ball Division, which began Friday, so he has the opportunity to win the USBTC’s Triple Crown, a feat that has never been accomplished by any player. In addition, he’ll receive Mosconi Cup points for his wins — a fact that is very important to him. Before the start of the USBTC, Bergman was 14th on the Mosconi Cup rankings. 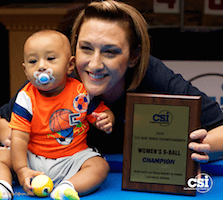 Rebecca Wagner of Las Vegas, who placed second in the Women’s 10-Ball Division, found her way to another finals and was able to capture the 2016 USBTC Women’s 9-Ball Champion title early Friday, beating Susan Williams of Chandler, Ariz. in the finals posted wins against Mary Coffman, 7-4; Debra Aarens, 7-1; and Tina Larsen, 7-1. She beat Williams in the hot seat match, 7-4 on Thursday and repeated that feat in the finals. Williams tournament included wins over Sierra Reams, 7-5; Grace Nakamura, 7-6; Anne Carmona, 7-5; and 10-Ball Champion Jessica Frideres, 7-5, before being sent to the B side of the bracket by Wagner. Then Williams beat Frideres again, 7-3, to secure her spot in the finals. 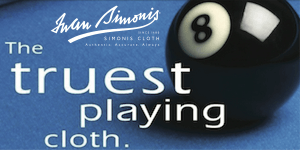 The US Bar Table Championships continues through Sunday with the 8-Ball divisions in full swing. 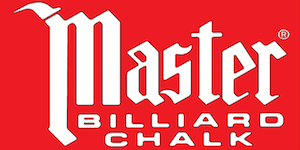 The Open 8-Ball Division has 101 players and there are 26 players in the Women’s Division. Players who place in the top 32 of each open division receive Mosconi Cup USA Team points on a sliding scale. The top three American players with the most points at the end of the year will be selected for the USA Mosconi Cup Team. 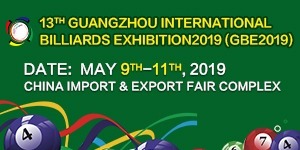 Sponsors of the $20,000-added tournament include: OB Cues, the Official Cue; Kamui, the Official Tip; Diamond Billiard Products, Cyclop Balls, Simonis Cloth, BadBoys Billiard Productions, FargoRate, Magic Ball Rack and Matchroom Sport.